I’m pleased to announce the launch of my new business, Social: IRL, an exciting new chapter in my career and an opportunity to help businesses and organizations develop and implement comprehensive social and new media strategies that generate tangible results. When I started this blog I had no idea of the changes that lay ahead. The blog was intended as a personal space to discuss my thoughts on social media and new online technologies. To have more of a personal perspective than my corporate blog at the World Company. I joined the World Company in January 2000, soon after moving to Lawrence. Over the last ten years I’ve had opportunities to be involved in many unique and interesting projects in both the print and online divisions of the company. The last twelve months were perhaps the most personally rewarding for me – serving as social media manager, creating the company’s first dedicated social media department, and overseeing the company’s moves to integrate social media in to all aspects of its internal operations and external client services. It was an exciting challenge to take a very forward thinking media operation with print, online, cable and broadcast television assets and look at how social media could be integrated across all divisions. A lot of time was invested in educating management, developing strategies, creating a corporate social media policy and best practice guidelines, building in social tools, developing online communities, providing social media services to our advertising clients. We also worked closely with individual departments in developing strategies and providing ongoing training and support, one great success being with Sunflower Broadband who initially had some pretty vocal skeptics but now fully embrace social media as a powerful communications tool and do a tremendous job of providing service to their customers via Twitter. I also enjoyed sharing my passion for social media through speaking engagements locally, regionally and nationally. It’s been great to see a number of people who attended presentations now actively engaged online. I was particularly pleased at the opportunity to work with the Suburban Newspapers of America organization, both helping them with their own social media efforts as well as speaking at their annual conference. I have a real desire to see changes in the media industry and for more publishers to truly embrace the shift from print to online, social and mobile. 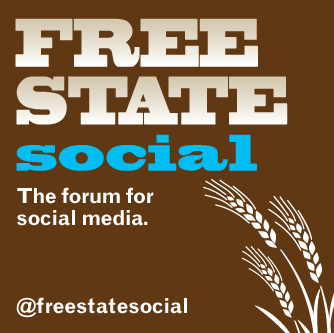 Of course, another big highlight was Free State Social. I was fortunate that the World Company supported my vision for creating a major new social media event here in Lawrence, and allowed me to make that a reality in April 2010, with an event featuring Jeremiah Owyang, Chris Brogan, Sarah Evans, Gowalla co-founder Scott Raymond and other nationally acclaimed social and new media experts. After more than ten years with the World Company, I decided it was time to move on and go out on my own. It was a tough decision to leave, but it was the right decision. I feel like I am leaving on a high. I have a great relationship with the company and look forward to seeing what they do next. At the same time I’m excited for this next chapter in my career. My new business, Social: IRL, will go live July 1. I will be providing services to help businesses integrate social and new media in to all aspects of their daily operations. Not simply running Facebook pages or Twitter accounts or providing “social media consultancy”, but working with business and organizations at a much deeper level to find real solutions. To develop and implement comprehensive strategies and to generate tangible results. I’ll also be doing work focusing on onlline-offline interaction and relationship building including brand engagement, community management, and social-based event marketing. Education and outreach are also important to me, so expect to see more events. My first event is planned for September 2010, here in Lawrence, and will be a boot camp style event with Sarah Evans. 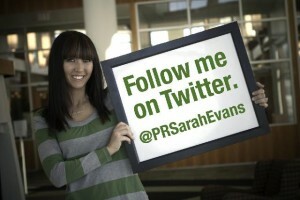 Apart from all she is doing in the national spotlight, Sarah was one of our most popular speakers at Free State Social. I’m looking forward to welcoming Sarah back to Lawrence. Details of the event will be posted soon, or you can join my email list to get details sent to you. And of course, I still have a real passion for the media industry I’ve spent the last ten years working in. I am a firm believer in the future role community news organizations have to play and have a real passion for developing social and new media strategies to help redefine their role in their communities and develop new opportunities for audience engagement. Also to explore new revenue streams through both online and social advertising and client services. That name and description worked perfectly for my new business so the name stuck. This blog will transition to company wesbite ready for the July 1 launch. You can also connect with Social: IRL on Facebook and Twitter, and sign up for our secure email list. So here goes, I’m excited to see what the future holds and am truly grateful for all the advice, support and good wishes I have received in making the move from employee to business owner. Many many good lucks to you on your new venture! We are all rooting for you! Congrats, Ben. Hope all goes well for you! Seems like a very natural progression for you, Ben. Looking forward to watching it grow. Congratulations Ben! Saw this info on Jeremiah’s weekly update. NICE coverage!!! !